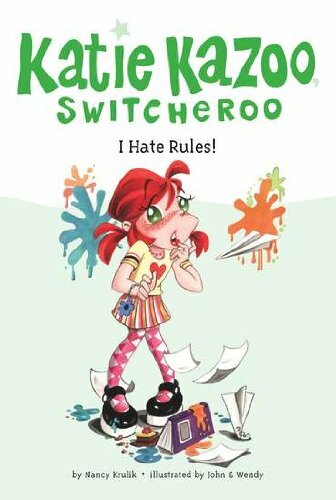 Katie Carew (nicknamed Katie Kazoo by the class bully) always wished that she could be anyone but herself. Now her wish has come true - and she keeps turning into other people! When Katie gets caught breaking the rules, first passing a note, and later with a cell phone (that isn't even her's! ), she loses her recess for the day. She's had it with the school rules! When she turns into the principal, Mr. Kane, she makes a new rule - that there are no rules! Things get out of hand and Katie turns back into herself before she can fix things. The real Mr. Kane loses his job because the parents and teachers are so angry. Will Katie be able to make things right and get Mr. Kane his job back? Illustrated by John and Wendy.